I was trying to help a friend with a steam-heating problem. He told me what the trouble was and I found myself going down a list of things that might cause that problem. There must have been a dozen possible causes on my list. I cautioned him to check each one before moving on to the next because when you don't know what's causing a problem, you can't discount any of the possible causes. "The tough part is knowing where to look," he said. That made me think about the way a lot of people troubleshoot. They jump in without a plan or a direction and just start changing parts. I always try to be methodical because that's what works. And that's why I wrote this book. I racked my brain for months, making lists of everything I could think of that could cause a problem with a steam-heating system. 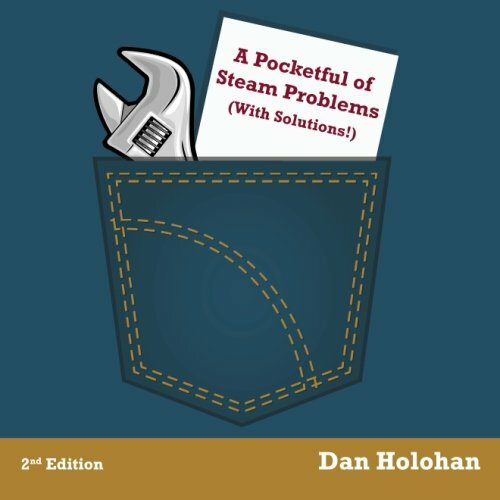 I wanted the book to cover one-pipe, two-pipe, vapor/vacuum, vacuum and commercial steam systems, so I went about writing it in the same way I would troubleshoot any of those systems - methodically. When you're on a job with this book, look first for the type of system that you're troubleshooting. Then go to that section of the book. You'll find a list of problems. Find the one you need and just below that will be a list of all the things that can cause the problem. Work your down list and you'll look like a troubleshooting genius.